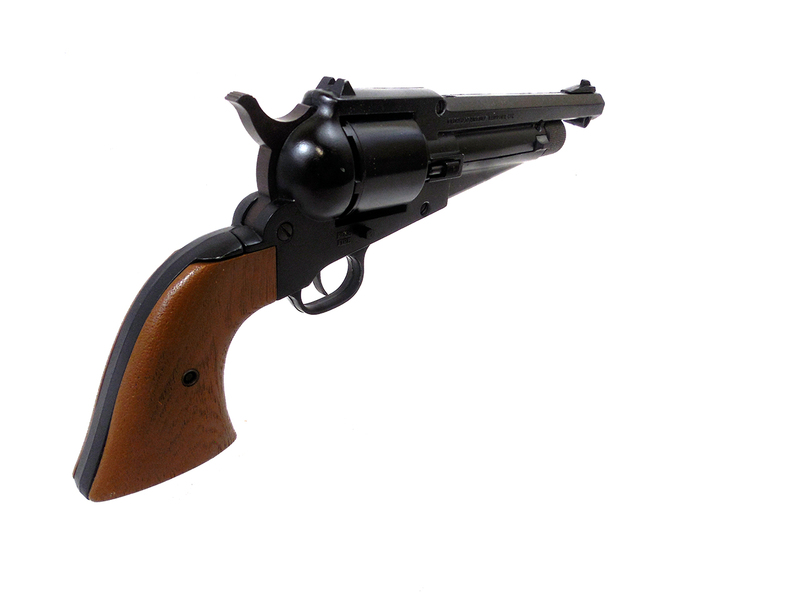 The Crosman 1861 Shiloh pellet pistol is modeled after the U.S. Civil War Remington cap and ball revolver. 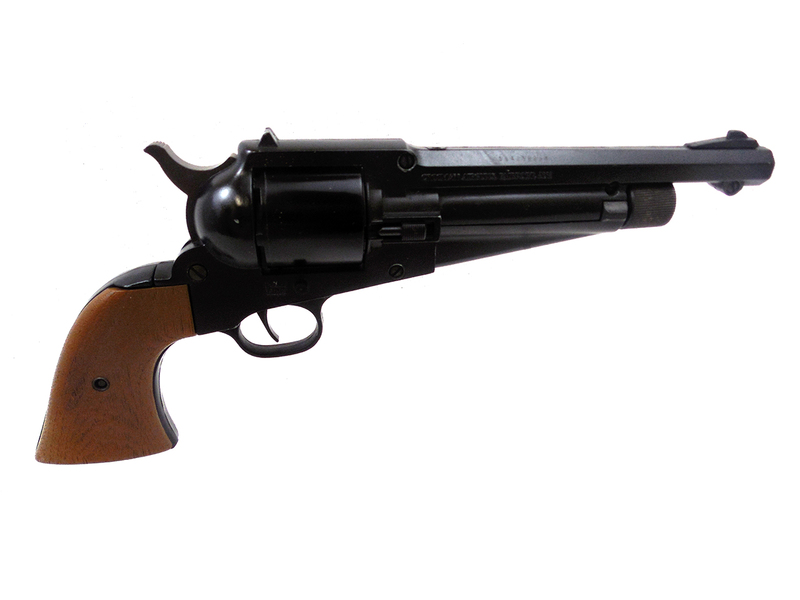 These guns were manufactured between 1981 and 1983. 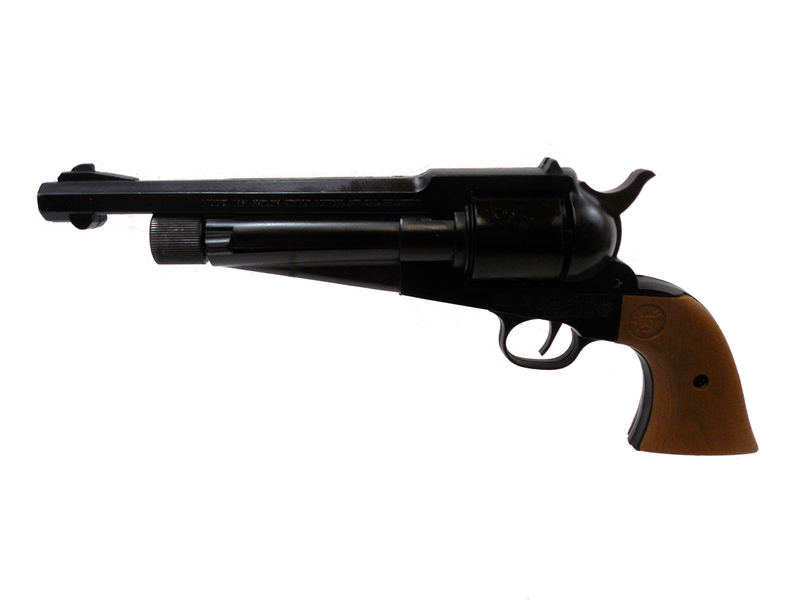 It is a .177 caliber single action CO2 revolver. The grips are in good condition with no cracks or warping, and the metal retains about 95% of the original finish. It’s been cleaned, lubed, and resealed in our shop. Velocity tested at around 375 fps using lead pellets. 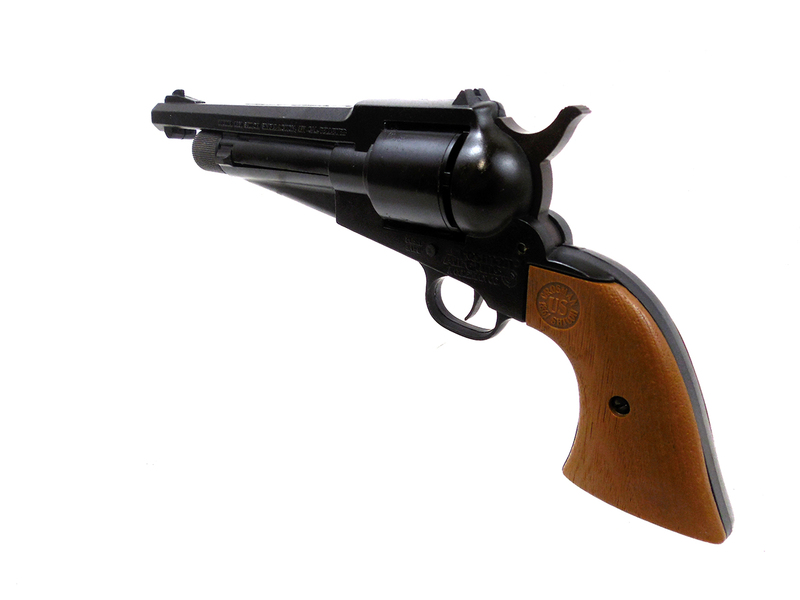 Very nice collectable pellet pistol, and fun to shoot.